Grandstream UCM6100 series – A disruptively priced new system from Grandstream. This asterisk based PBX offers: inexpensive, low power consumption ∴ long UPS runtime. 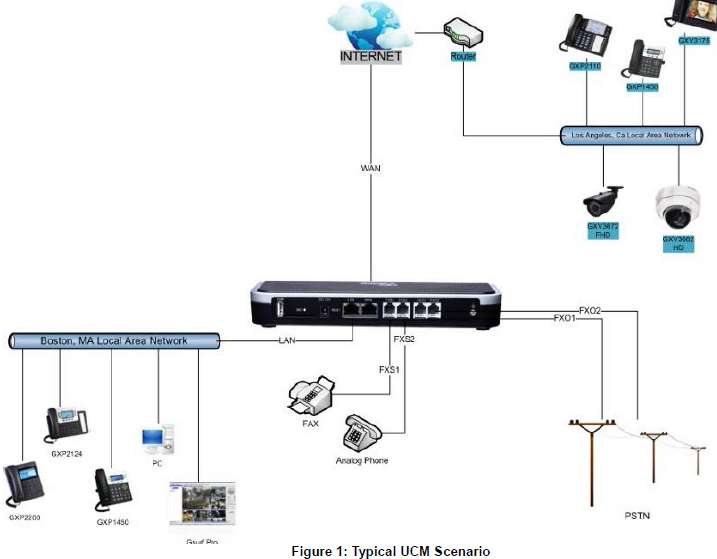 It the UCM6104 has 4 analog ports which can be used for internal fax or PSTN analog ports (for example your current Comcast lines) which might ease porting & integration: simultaneous PSTN or IP participants. We have rolled out our server & network monitoring system (Nagios) which provides comprehensive monitoring of your entire IT environment & notifies us (& you if requested) of impending failure – for example if a server hard drive is nearing capacity or is producing errors. This often allows us to spot issues before you do. We’ll even be alerted if your Internet connection slows down.